Here is information on supplementary materials that are available for two of Grey Larsen’s books. Audio of all 300 tunes in this book is available either as a set of downloadable MP3s or a set of four CDs. Grey Larsen plays the tunes on Irish flute, tin whistle and anglo concertina. Each tune is played one time through. Each of these 300 tunes also appears in one or the other of the books 150 Gems of Irish Music for Tin Whistle or 150 Gems of Irish Music for Flute. These books each come with downloadable audio which contains recordings of all the tunes transcribed in that book. However, 49 of the 300 tunes contained in these two books include notes that go below the range of the standard Irish flute and tin whistle. In the recordings that come with these two books, such too-low notes (and sometime other adjacent notes) are transposed up an octave, in order to match the transcriptions in the books. In the audio collection of all 300 tunes being offered here (either as CDs or MP3s), Grey Larsen re-recorded those 49 tunes on anglo concertina, playing all the low notes in their original register. By doing so, he insured that all 300 recordings in this audio collection match the transcriptions given in the book 300 Gems of Irish Music for All Instruments. Some people may wish to purchase recordings of only the 49 concertina recordings, especially if they already own 150 Gems of Irish Music for Tin Whistle and/or 150 Gems of Irish Music for Flute and the recordings that come with them. Good news! You may purchase recordings of just those 49 tunes as a downloadable set of MP3 files. 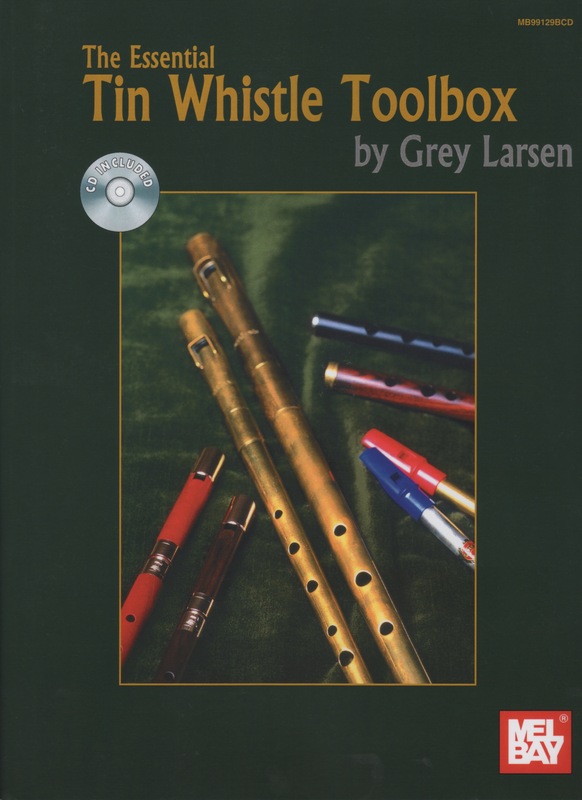 The Toolbox Exercises for Finger Coordination (available as downloadable PDF and MP3s or physical book with downloadable MP3s) is comprised of written transcriptions and audio recordings of 38 exercises for tin whistle, composed and performed by Grey. It also includes introductory and explanatory text. The ability to move various combinations of fingers in precise coordination and synchronization is essential for good whistle playing. This ability involves not only combinations of fingers of one hand or the other, but often fingers of both hands. If you are a beginner, gaining these skills may seem daunting to you, but with time and with practice such coordination and dexterity can become second nature. If you are an intermediate player, you may wish to use these exercises to improve your finger coordination skills. The recordings feature a metronome click in the left channel and tin whistle in the right channel. Using your left-right balance control, you may control the relative loudness of these two elements, or eliminate either element altogether. 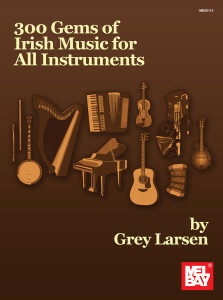 The Toolbox Tune Collection (available as downloadable PDF and MP3s or physical book with downloadable MP3s) is comprised of complete transcriptions and audio recordings of the 18 traditional Irish tunes that are only referred to and excerpted in Grey’s book The Essential Tin Whistle Toolbox. It also includes introductory and explanatory text. The transcriptions include Grey’s suggested ornamentation and breathing places. The recordings are of Grey playing the tunes, as notated in the transcriptions, on tin whistle.